On Tuesday, the House passed a bipartisan bill sponsored by Rep. Jackie Speier (D-CA) that makes significant changes to the way that allegations of sexual harassment will be handled in Congress. 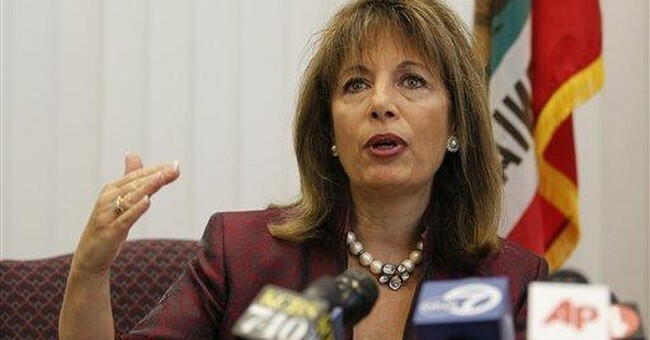 The most significant reform in Speier’s bill (officially known as the Congressional Accountability Act of 1995 Reform Act) appears to be a provision that forces lawmakers to pay back the U.S. Treasury when settling sexual harassment claims, a change that has drawn widespread support across ideological boundaries. Other popular provisions in the bill prohibit senators and representatives from dipping into their congressional office funds to pay off settlements and remove requirements for accusers to receive mediation and therapy for months in advance of filing formal charges. The impetus for Speier’s legislation follows in the wake of increased national focus on complaints of sexual harassment against congressmen and potential problems with the way that the congressional Office of Compliance has handled these cases. [G]overnment transparency advocates have criticized a provision [in Speier’s bill] that sidelines the Office of Congressional Ethics (OCE), an independent watchdog, in reviewing workplace complaints filed through the Office of Compliance process. Complaints would only be referred to the House Ethics Committee for review; the OCE would not be able to investigate on its own. A spokeswoman for the House Administration Committee said limiting investigations to the Ethics Committee would streamline the review process. But critics warn that the provision takes away a layer of accountability, given that the OCE was created to ensure that members of the Ethics Committee would hold their colleagues to ethics standards. "One can only hope that this is not a case of the camel’s nose slipping under the tent signaling further efforts to undermine OCE’s role, while limited, in upholding strong ethical standards in the House of Representatives," Issue One executive director Meredith McGehee said. The OCE was created in 2008 as an independent, nonpartisan entity to add a layer of accountability to the House ethics process. Then-Speaker Nancy Pelosi (D-Calif.) led the push to create the OCE as part of a congressional ethics reform package in response to the Jack Abramoff lobbying scandal and violations by former Reps. Tom DeLay (R-Texas), Mark Foley (R-Fla.) and Duke Cunningham (R-Calif.). Thus, if the Senate passes Speier’s bill without making any significant changes, it would undermine an institution that Democrats insisted was necessary to prevent ethical abuses by members of Congress.